The new X10 mini pro2 has not been officially announced yet but is expected to rival the high end Smartphones in the market with matching specification in terms of pricing. The unofficial specifications of the new Sony Ericsson Xperia X10 mini Pro2 include a two type of networks with the first one being 2G in forms of different GSM networks and 3G in the different available SDPA Networks. The phone comes with a touch screen that is capable of showing over 16M different colors and the screen has a resolution of 320 by 480 pixels. The screen is of 3.0 inches. 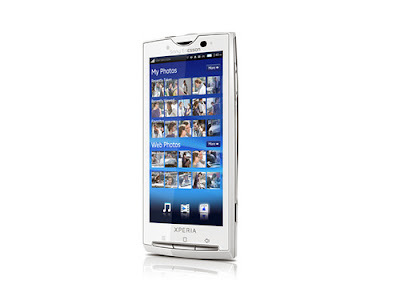 The phone also comes with a QWERTY keyboard and an accelerometer sensor for UI auto-rotate. The phonebook memory has practically an unlimited capacity in terms of entries and fields. The Sony Ericsson Xperia X10 mini Pro2 comes with an internal memory storage capacity of 384 Mega Bytes of random access memory (RAM) and a card slot with a storage capacity of up to 32 Giga Bytes. The phone supports GPRS, EDGE, 3G, WLAN, Wi-Fi, Bluetooth and USB connectivity's. The phones camera is of 5 Mega Pixel and also of high standards as it can shoot high quality pictures and also make good video recordings. It also has another camera at the front camera for ideo-calls. The features are expected to be an Android operating system version 2.3 Gingerbread that runs on an 800 Mega Hertz processor, though most people would have preferred a 1GHz processor. 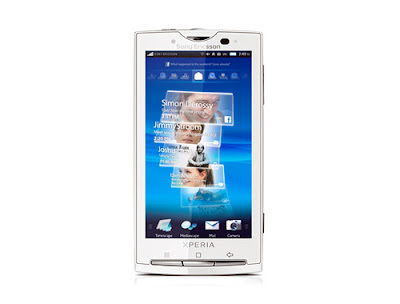 The Sony Ericsson Xperia X10 mini Pro2 browser supports HTML and also the phone supports messaging which can be done SMS, MMS, Email, Push Email or IM. For music lovers the X10 pro2 comes with a FM radio system and both music and video player that supports various formats of music and videos. The phone is also expected to feature a GPA with A-GPS, games, Java via third party application and Google applications such as maps, search, mail, talk, calendar and YouTube streaming for the video lovers. There is a document viewer for viewing documents of different formats such as Word, Excel and PowerPoint. There is also voice memo and predictive text input ability for easy and accurate texting. The battery type is expected to be standard with a longer talk time duration that the X10 that had a battery life users complained about. This phone is from the Swedish phone manufacturers Sony Ericsson who are known for designing fancy phones with respectable quality in the industry. And because the hone has not been announced or launched, some of the expected add-ons to the sister phone Xperia X10 minis are not known with certainty and can only be speculated. However, users are waiting with baited breath to see the modifications that have been made to the Sony Ericsson Xperia X10 mini Pro2 and compare it not only with its predecessor but the industry competitors.